Synopsis: Vacationing Hercule Poirot overhears a pair of siblings as they discuss murdering their tyrannical stepmother, Mrs. Boynton. When the woman is found dead of apparent natural causes, Poirot vows to prove she was murdered and find the killer in only 24 hours. 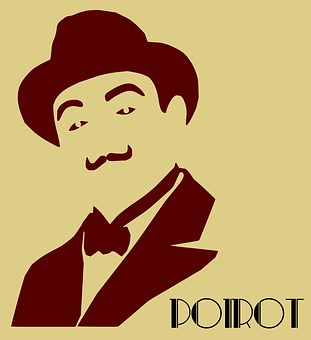 Review: After my disappointment with Agatha Christie's short story collection Murder in the Mews, I was anxious to get back to another Hercule Poirot novel and wound up purchasing this book (via Kindle) from Amazon. I was able to get through a good chunk of the book while at the skating rink last week and finished it this weekend. Overall, I have to say I enjoyed it. The thing that really impressed me about this book was the way just about everyone traveling with Mrs. Boynton had motive for murder, especially her own family members, who were kept under her thumb. Between the step children and the various outsiders who seemed to have their own reasons for wanting the woman dead, it wasn't nearly as clear cut of a murder mystery as the overheard conversation would indicate. On top of it, before he could do anything else, Poirot had to prove Boynton was murdered. Sure, there was circumstantial evidence (such as a potentially stolen syringe) that indicated her death wasn't natural. But, the woman also had a known heart condition that could be aggravated from traveling and it was very possible she was already dead of natural causes before the killer could carry out his/her agenda. The character that intrigued me the most was Boynton's daughter, Ginevra. She seemed to be very meek when around her mother and I had a hard time believing she even had the potential to be a killer as a result of that. But, her stories about being a kidnapped princess did make me wonder if she was really just making things up as a way of escaping (as characters in the book suggest) or if there was more to her story than was being revealed. I wound up looking for some surprises regarding her as a result of that. Final Opinion: This is an interesting murder mystery with plenty of viable suspects and an ending that I honestly didn't see coming. It's worth taking the time to read it if you get the opportunity.